This bracelet allows your child to have important information on them in case of emergency. 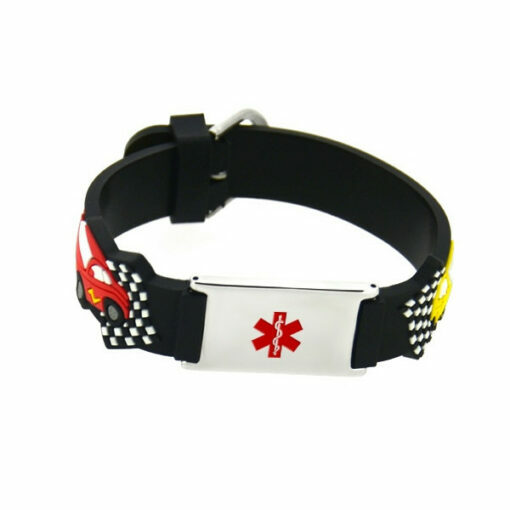 This cute Child ID Bracelet features a cool car design to make it attractive to kids and it has an engraveable tag for their medical information. 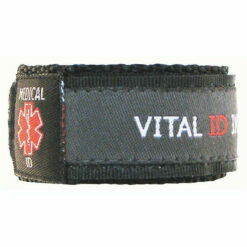 You can engrave the back of the tag with four lines of text of 15 characters each. 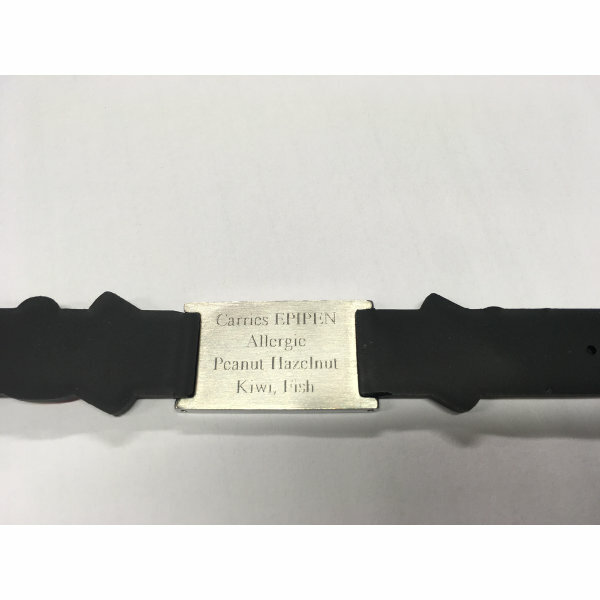 we can engrave the tag with your details. Our jeweller uses a diamond engraving toll to cut into the surface for a discrete effect. Colour infill is not used. For an example see above image. Or you can purchase without engraving and have your local jeweller/engraver engrave your details for you. for engraving, just check the personalisation box and also fill in your message in the space provided. or you can purchase without engraving and have your local jeweller / engraver complete the details for you. 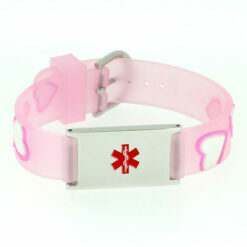 The kids medical bracelet has a buckle closure so it’s adjustable. It is 7.5″ (19cm) long at it’s longest. It will fit wrists between 5.5” (13cm) and 6.5” (16.5cm). 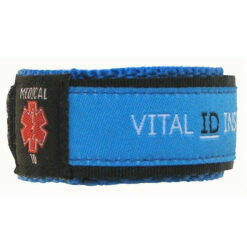 Keeping their medical information in an accessible place makes it easier for medical personnel to find in case of emergency. This cute bracelet keeps them safe while they’re out exploring and having adventures! 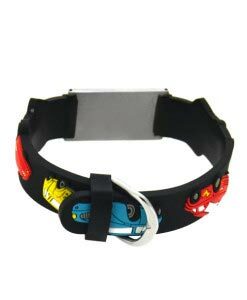 This cute car design mean that kids will want to wear it so you get peace of mind. 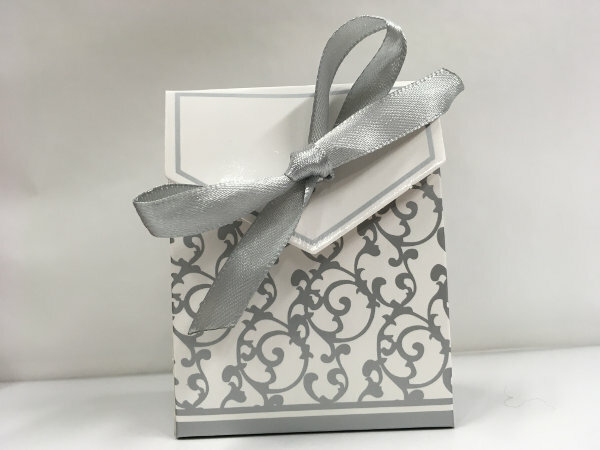 Please allow up to 5 working days for dispatch of engraved items.